Cecilia is Catholic. Rose is Jewish. Their worlds seem so different as they struggle to find hope in New York City's crowded tenements in 1911. Fate and circumstance bring the unlikely pair together, but they must keep their friendship secret until they are forced to work in a garment factory to support their families. 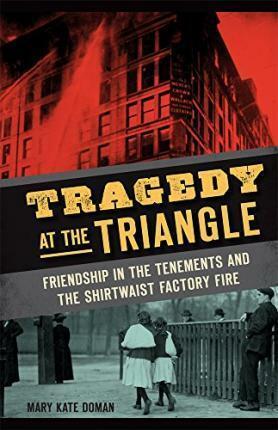 When fire erupts at the Triangle Shirtwaist Factory, the friends bravely face the tragedy together, forever altering both of their futures. This story of friendship, heartache and spirit blends fact with fiction for an unforgettable glimpse into this harrowing episode in American history.